Hello, everyone! Long time, no see! 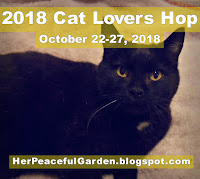 I'm here today because I really, really want to participate in the Cat Lovers Hop! This is the fourth year, and I have not missed one yet! I know I'm late to the party, but it runs until tomorrow (October 27) so you still have time to join! 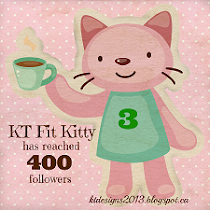 Please go check it out and see all the cute kitty inspiration for yourself! While I haven't had any time to craft lately (you can read why here), happily I already have a number of cat-themed projects that I made in the spring. Since I have some time today (I woke up at 4:30 a.m.! ), I'm going to share as many of my projects as I can. 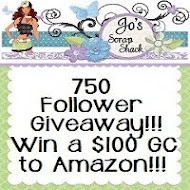 I apologize to my followers in advance for the blog blast, but I have to seize the time when I have it! Please do not feel obligated to comment on any of my projects. However, I hope it will give you some kitty-loving inspiration and that you'll head over and join the Cat Lovers Hop yourself! The good news is that Brian will be discharged from the rehab hospital within the next couple weeks! After he comes back home, I hope to have some time to myself and will look forward to visiting your blogs and seeing what you made. I can't wait to get caught up with everyone! Brian has a long road ahead of him, but the doctors say it's possible he will fully recover. It will likely take a year or more, but I'm praying he heals even sooner. Your prayers are appreciated! Now on to the Cat Lovers Hop! A big thank you to Janis at Her Peaceful Garden for hosting this fun event again this year to celebrate our love of cats! The cat image and sentiment were fussy-cut from a recycled greeting card and popped up on foam tape. Behind the kitty is a doily from my stash. The butterfly die-cut is from Joy Crafts, and I added some gems to the body. 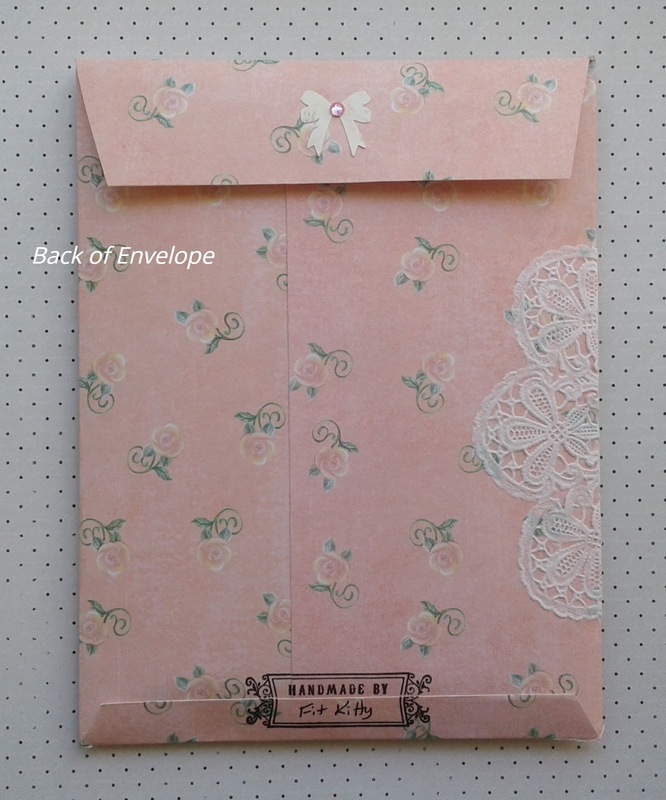 I used a 12x12" sheet of patterned paper from my old stash to create the envelope. I watched a few video tutorials on YouTube but made my own custom-size envelope to fit the items that went inside. Hi Kitty, sorry I missed your last post about your Hubby but I am so pleased to hear he is improving and will be home soon. My dad had a VERY bad stroke when he was 83 and lost all his (best way to put it) functions and was unable to communicate. He was in hospital for 6 weeks and had to teach himself to walk, talk, write etc and eventually made a full recovery. 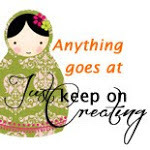 So if things do get a bit much at times, don't give up. I'm so very happy for the good notices about Bryan!!!! Oh, you have been blessed that he will fully recover, even if the road is long!!! :) So glad to hear that he will be discharged from the rehab hospital in the next weeks! Surely you will have a lot of work to do, my dear, so just now take some moments for yourself and enjoy life! This first one project is just a sweetie, such lovely packaging!! Love the cute recycled kitten and all the embellishments on your design!! It's great that the envelope is reusable, well done with the velcro on the back!! Biggest hugs ever and good luck with the challenges!!! The most bigger wishes to Bryan!! Oh, Kitty! I'm so sorry for all the stress you've had these past few months, but am happy to hear the good news! Wishing him a full recovery at the best possible speed and hoping you can recuperate fast from the stress of it all, too. 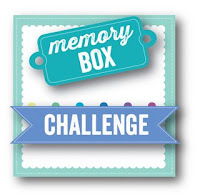 Kitty, I was so happy to see your cards in the challenges. I was thinking of you last night and my next card was to be in your honor! So happy Brian is on the road to recovery. Always enjoy your fun projects and this is a beauty! So feminine and I love it. 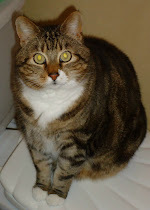 Kitty, that's good news about Brian and I have him in my daily prayers. 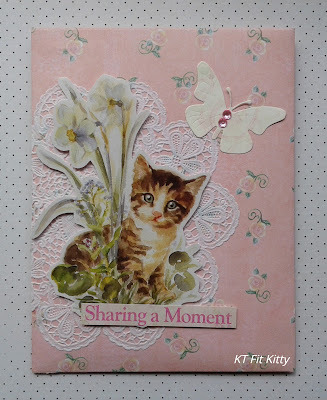 So glad you were able to post today and I love the idea of a cat decorated envelope! Beautifully done. Hi. I'm so happy for Brian and I wish him a good recovery!!! 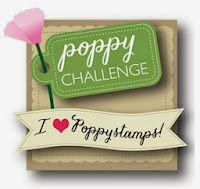 Love your adorable envelope!!! It's totally cute!!! Cute kitty card and I am glad to hear your hubby is getting better. I missed you but fully understand why you were not around much. Take good care of your man and yourself now too. Wishing Brian a speedy recovery! Here Kitty Kitty - so happy that Brian is coming home! My hubby just came home this week after 5 days in the hospital! Happy Dance time! 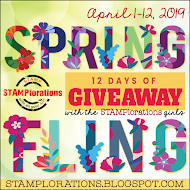 Love your work and happy you go in on this blog hop as well - happy you had some work created so you could get them posted! That is always a fab idea! Bless you and praying for you and for Brian - God is good--- all of the time - have a fabulous weekend! That's wonderful news about your husband being released soon and I do hope he recovers quickly. 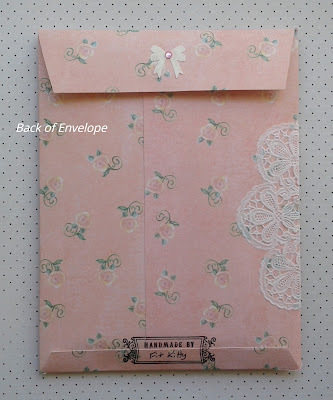 This is a beautiful decorated envelope and the fact that you upcycled an old card makes it even better! Kitty, your envelope is beautiful. Love the doily with the image. I have been thinking of you and Brian. Obviously for the job that I currently have I do authorizations for rehab stays so I am so glad that he has been getting the intense therapy. It will take time and lots of work, but I know that you both have faith and will push through. Sending you lots of hugs and prayers. It's lovely to see you posting again, I'm so pleased to hear that your husband will soon be coming home and I hope his recovery is a speedy one. 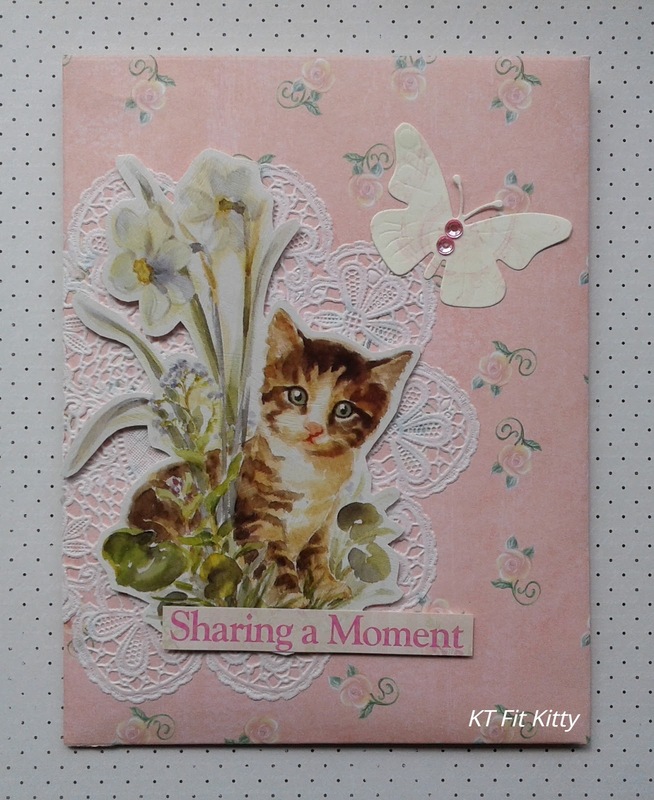 This is a beautiful card, such a cute kitty and pretty papers - so soft and delicate. I LOVE your pretty kitty envelope! This is really a great idea when sending things to friends! Im so happy to see you and your purrrfect projects! Im happy Brian will be discharged soon. It's a hop but I'm not sure if I'm supposed to comment on my own entries. Oh well! I love how this goody envelope turned out! Oh! So sorry to hear this news Kitty but as well happy too that your hubby is improving now:) I hope he will discharge soon! Love the sweet envelope and a great idea to send to the friends! Such a sweet envelope for a swap. Your envelope is beautiful and I hope that your partner Brian has a quick recovery! Prayers for both of you! I'm so happy to hear that your hubby is doing better! I'll continue to send prayers your way since I know the recovery can be just as hard on someone! Big HUGS to you both!! Your kitty card is adorable! I'm allergic to cats so I'm more of a dog person, but it's been fun to see the different kitty images you have and created with! It is so wonderful to see you here and to hear an update on Brian! I am so happy that he is doing so well and they are expecting a full recovery!! You must be so happy that Brian will be home soon, all strength to you and Brian at this time. I love the details in this beautiful envelope, always enjoy looking at your cat creations. So very, very happy to hear that Brian will be coming home soon. This is an answer to prayer!! I am beyond honored that you made the time to join in the Cat Lovers Hop, even in the middle of all that is going on in your life. It would not have been the same without you. Your goodie envelope is so sweet and adorable. Love your creative ideas! !